Former England boss Steve McClaren has left his role as coaching consultant at Israeli club Maccabi Tel Aviv. McClaren joined Maccabi, managed by Jordi Cruyff, in August, having been sacked as manager of Championship side Derby for the second time in March. Maccabi chief executive Ben Mansford said the 56-year-old was leaving the club to "pursue other options". "It's with much regret I have to return to England and leave my role at Maccabi Tel Aviv," said McClaren. 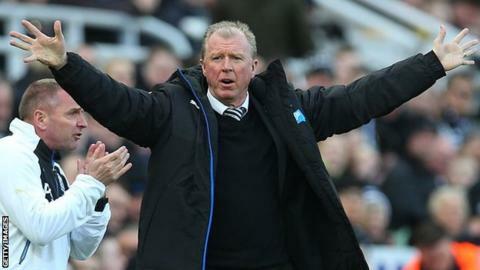 McClaren's two stints at Derby came either side of a spell at Newcastle, while he has also managed FC Twente, Wolfsburg and Nottingham Forest since being sacked by England in 2007. He is among the favourites with some bookmakers to take the vacant Sheffield Wednesday manager's job.